Wealth management results at the wirehouses, though, weaken along with the market's recent decline. Wealth-management results announced as part of the third-quarter earnings season are fairly mixed at the wirehouses. 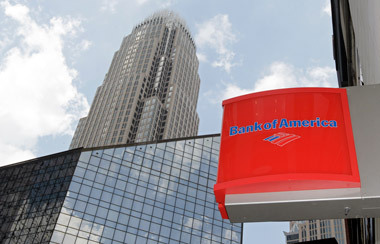 Bank of America reported net income of $4.5 billion or $0.37 per share on revenue $20.7 billion, which beat estimates. Last year, the bank had a loss of $232 million, or -$0.04 per share, on sales of $21.4 billion. In wealth management, the number of financial advisors increased by 186 from last quarter to 16,605; this is an uptick of 738 registered reps from a year ago. Bank of America-Merrill Lynch (BAC) says the number of financial advisors increased by 186 from the second quarter to 16,605; this is an uptick of 738 registered reps from a year ago. Productivity, though, appears to be weakening. These advisors had average yearly fees and commissions of $1.00 million as of Sept. 30 vs. $1.04 million as of June 30, 2015, and $1.08 as of Sept. 30, 2014. The wealth-management group’s net income was $656 million, down from $812 million a year ago. Revenue also declined by nearly $200 million in Q3’14 to $4.5 billion. Assets under management for the BofA unit stand at about $2.4 trillion, a slight fall from roughly $2.5 trillion in Q2’15 and in Q3’14. Wells Fargo had reported net income of $5.8 billion, or $1.05 per share, in Q3’15 compared with $5.7 billion, or $1.02 per share, a year earlier. “Wells Fargo’s strong third quarter results reflected the ability of our diversified business model to generate consistent financial performance in an uneven economic environment while continuing to meet our customers’ financial needs,” said Chairman and CEO John Stumpf, in a statement. Wells Fargo’s (WF) wealth-management unit had Q3 net income of $606 million, up from $586 million in the prior quarter and from $550 million a year ago. Revenue of $3.9 billion was down slightly from the prior quarter’s $4 billion but up from last year’s $3.8 billion. Assets in the retail brokerage business stood at $1.4 trillion, a 4% decline from a year ago. Managed-account assets fell 6% from the prior quarter and were flat vs. last year at $409 billion. The wealth-management asset level was $218 billion, down 1% from Q3’14. The number of Wells Fargo advisors is 14,988, a drop of 1% from the prior quarter and year-ago period. JP Morgan said its profits rose 22% from last year to $6.27 billion, or $1.32 per share, but this missed analysts’ estimates of $1.37. Revenues, which fell about 6% from last year, was about $23.5 billion, behind the expected $24 billion that equity analysts anticipated. “We saw the impact of a challenging global environment and continued low rates reflected in the wholesale businesses’ results,” CEO Jamie Dimon said in a statement. “We continue to focus on our commitments, optimize our balance sheet and manage our expenses.